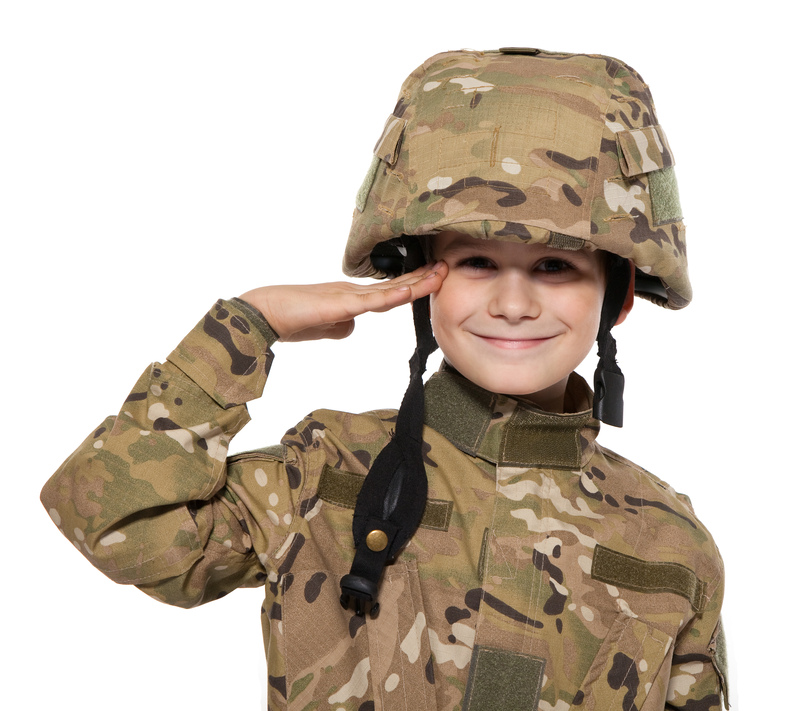 On Veteran’s Day, we honor our military heroes who have fought for freedom. These men and women are warriors who fight against evil. Today, I’m going to tell you a story recorded in the Bible about another warrior who became a hero. His name was King David. King David shows us what a hero looks like and how we can become heroes of the faith. Do what’s right. David was responsible for the sheep in his father’s field before he became a warrior or a king. Even though it was hard work, David took care of the sheep and did what was right when nobody else was looking. What right things can you do when nobody is looking? Difficulties prepare us for greater challenges. 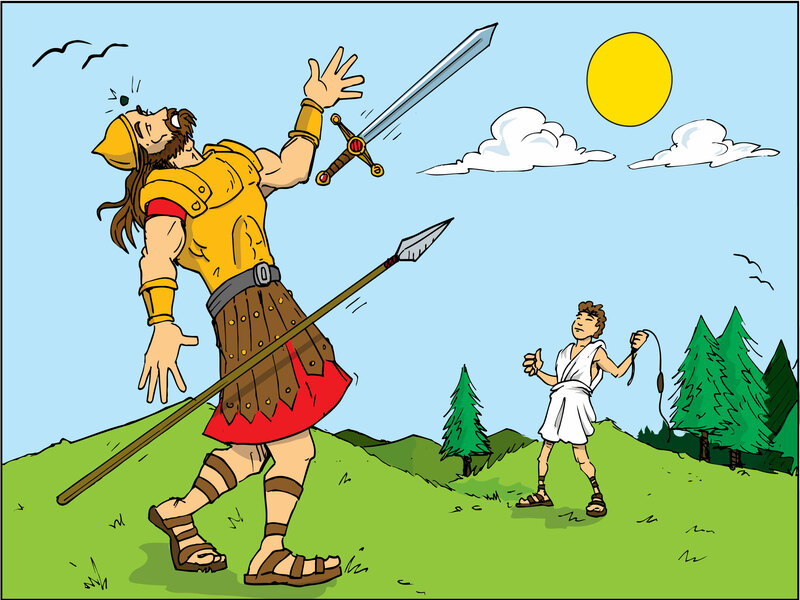 Before David became famous for fighting Goliath, he had some difficult things happen in his life. Once while he was watching the sheep, a bear tried to attack. David killed the bear with his slingshot. Another time, he killed a lion with a slingshot. When David faced Goliath, he was prepared because of the times he had to fight the lion and the bear. When you go through hard times, ask God to help you through them in a way that will prepare you for the future. Heroes have convictions and beliefs based on God’s Word. David was treated unfairly many times throughout his life. King Saul, the man who was king before David, was jealous of David and tried to kill him many times. David hadn’t done anything wrong, but he had to run for his life. King Saul was unfair to David, but David still treated Saul the way God’s Word said. David showed the king love and respect. When you’re treated unfairly, do you do what God’s Word says and treat people like you want to be treated? Heroes help others. When David was king, he did what he could to help others. Once he had his men search for his friend’s crippled son so that he could invite him to the palace and treat him like royalty. Heroes have the courage to repent and fix what they’ve done wrong. David wasn’t perfect. He did some very bad things. He even stole the wife of another man. But when he was confronted, David had the courage to confess his sin and take the consequences. Heroes are honest even when under pressure. When David was running from King Saul, he found Saul alone in a dark cave. David cut a piece of Saul’s robe. The next morning, David told Saul what he’d done. The king could have killed him, but he was still honest. Saul felt bad and stopped pursuing him because he told the truth. Do you tell the truth even when it is hard. Heroes resist temptation. David helped a man named Nabal by keeping robbers away from his sheep, but Nabal wouldn’t even give his men food and lodging. David could have attacked Nabal, but he resisted the temptation and left Nabal alone. What temptations do you need to resist? Heroes do more than required. Heroes honor others by doing more than expected. David honored God by bringing the ark God’s way. He went the extra mile. We can all become heroes of the faith, but like David, we need God to help us. The most important thing David did to become a hero was to spend time with God and to rely on God. This entry was posted in Children's Church Sermons, Children's Church, Holidays, Object Lessons, Veteran's Day/Memorial Day. Bookmark the permalink.